The Southern Poverty Law Center, a nonprofit organization that has long been regarded as a glorified direct-mail scam that profits from hate-mongering, has come under fire yet again for its shady financial practices. 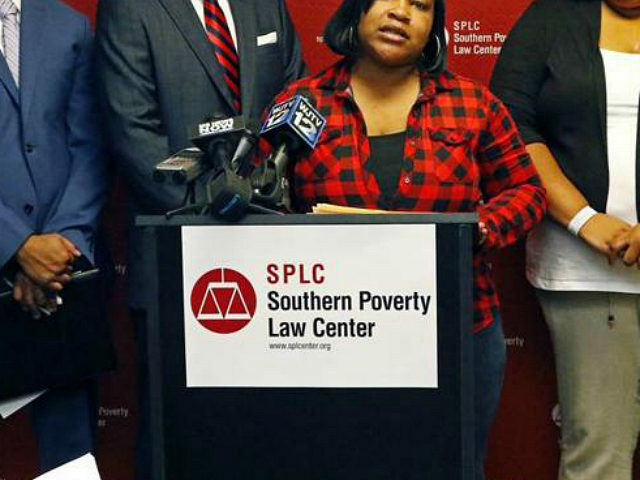 This time, SPLC has been caught shuttling millions of dollars to offshore entities — a practice that’s considered a “huge red flag” by philanthropy experts, an investigative report by Joe Schoffstall of The Washington Free Beacon reveals. The organization’s name was back in the headlines earlier this month after George and Amal Clooney donated $1 million to SPLC to “fight hate” after violent clashes in Charlottesville, Virginia resulted in a young woman’s death. Most of the Clooneys’ million-dollar donation will probably be spent on fundraising efforts, as that is SPLC’s single biggest expense, according to a recent scathing report from Philanthropy Roundtable. Some of their donation may even end up in an offshore account in the Cayman Islands — one of the world’s most infamous tax havens — as that’s where the nonprofit likes to park millions of its dollars. In 2015, SPLC raised $50 million and that same year held “financial interests” in the Cayman Islands, British Virgin Islands, and Bermuda, tax records show. That same year, the nonprofit scuttled $2.2 million in cash to an account in the Cayman Islands. 2015 wasn’t the first year the nonprofit wired funds to offshore accounts. In 2014, the nonprofit shuttled almost a million dollars to an investment fund in the Cayman Islands, the Free Beacon reports. In 2011, the SPLC claimed $238 million in assets, some of which was parked in an account in Bermuda, the Daily Kos reported in 2012. The SPLC’s ability to capitalize on the wider corporate retrenchment against “extremism” and “hate” got a massive boost in the aftermath of August’s “Unite the Right” rally in Charlottesville, VA, near which a liberal protester was killed in an apparent deliberate car attack by a rally-goer. Apple Computer, the world’s most valuable company, pledged $2 million and vowed to match employee contributions to the SPLC and other groups two-to-one. The California giant then doubled down, soliciting the millions of customers on its iTunes store to make further donations to the SPLC. Cutting edge tech was soon joined by old Wall Street when the multinational finance firm JP Morgan Chase announced another $1 million of corporate cash for the SPLC’s coffers. The “Poverty” Law Center was hardly in dire straights before corporate America decided to throw their lot in with them. Last year, the Birmingham, AL, group was reputed to have an endowment larger than $300 million. According to tax documents examined by the Washington Free Beacon, the SPLC has stashed millions of that in offshore accounts while paying some of its executives salaries in excess of $300,000. All officers, directors, trustees, and “key employees” are reportedly making six-figures. My impression based on prior interactions is that [the SPLC has] a small, modestly paid staff, and were regarded by most in the industry as frugal and reliable. I am stunned to learn of transfers of millions to offshore bank accounts. It is a huge red flag and would have been completely unacceptable to any wealthy, responsible, experienced board member who was committed to a charitable mission who I ever worked with. Whereas SPLC fundraising was only bolstered by the post-Charlottesville corporate bandwagon, credibility had been a currency which was waning for the group. By the turn of the millennium, even left-leaning outlets became skeptical of SPLC antics. “Today, the SPLC spends most of its time–and money–on a relentless fund-raising campaign, peddling memberships in the church of tolerance with all the zeal of a circuit rider passing the collection plate,” Harper’s contributor Ken Silverstein wrote in 2000 when the group’s endowment was less than half what it is now. In 2014, the group lost the trust of the FBI. Three separate legal actions, an IRS complaint to have the SPLC’s tax exempt status revoked for political campaigning against President Donald Trump during the 2016 election cycle, a defamation suit by Muslim anti-fundamentalism campaigner Maajid Nawaz for being called an “anti-Muslim extremist,” and a libel suit brought by a conservative christian ministry listed as a hate group, are all pending. Even the mainstream media began to look more critically on the SPLC’s “research” as the group pulled stunts like listing Harvard social scientist Charles Murray as a “white nationalist” and ex-Muslim civil rights activist Ayaan Hirsi Ali as an “extremist.” Even the SPLC itself admitted it went too far in calling Dr. Ben Carson a hater. But, as the narrative of an out-of-control violent “white supremacist” movement sweeping the country pulsed through the media, the SPLC, whose reputation has been on the ropes for years, suddenly swung back into the mainstream press’s good graces. For example, CNN, MSNBC, and dozens of other outlets uncritically displayed the SPLC’s infamous maps of “active hate groups.” These poorly researched maps, created without any clear criteria, deliberately place Christian non-profits and other right-leaning groups that support political positions the SPLC opposes, like gay marriage and immigration reduction, on the same list with tiny extremists groups of questionable existence like dozens of supposed chapters of the Ku Klux Klan mostly identified with a rural P.O. box. “Hate groups” displayed on the map include established beltway immigration restriction groups like the Federation for American Immigration Reform (FAIR), the Immigration Reform Legal Institute (IRLI), and the Center for Immigration Studies, as well as Christian conservative non-profits like the Family Research Council (FRC), the American Family Association, and the Alliance Defending Freedom. Even on its own terms, the “Hate Map” is an irresponsibly assembled failure. It relies largely on the visibility of near-universally condemned “neo-Nazi” groups to provide its raison d’etre. But, the SPLC does a much less thorough and accurate job tracking these groups than decades old conservative non-profits with easily found offices like FAIR and the FRC. For example, they recently implicated the tiny town of Amana Colonies, Iowa, as a home base of infamous Nazi website The Daily Stormer until it was forced to remove the marker following complaints. Apparently, the SPLC had justified the distinction because someone claimed online that a group of fans of the website had once met for lunch in the town. In response, the SPLC now lists The Daily Stormer’s location as Iowa (the entire state) in addition to Spokane, WA, Worthington, OH (apparently home to a PO Box listed on the site), and at least half a dozen other locations around the country. Far from an innocuous left-wing pastime, the Hate Map and other SPLC efforts to deride and belittle its political opponents as “haters” have led to tragic results. In 2012, for example, Floyd Lee Corkins, a deranged leftist looking for “anti-gays” to murder for their political beliefs, used the map to locate the Washington, DC, offices of the Family Research Council. Corkins marched into the building with a firearm and over 100 rounds of ammunition in an attempt to murder as many employees as he could. Thankfully, Corkins only managed to shoot one man, building manager Leo Johnson, who heroically subdued the domestic terrorist despite his gunshot wound and prevented him from carrying on the attack. Corkins later explained the dozens of Chic-Fil-A sandwiches found along with his ammunition were to be left on his victims’ faces as a reminder that the fast-food company’s family owners were also supportive of traditional definitions of marriage. Corkins is serving a 25 year sentence in federal prison. Another fan of the SPLC was deceased Congressional Charity Baseball Game shooter James T. Hodgkinson, who liked the group on his Facebook. Hodgkinson shot and seriously wounded House Majority Whip Steve Scalise (R-LA), about whom the SPLC repeated published articles linking to “hate groups,” and four others before being shot to death by police.